Born in France, but considered a Barcelona native, Philippe Gelis always knew he wanted to start an international company. He received his Bachelors and Masters in business at Toulouse Business School and his MBA from Monterrey University in Mexico. He worked as a consultant after graduating, and in 2009 earned his Six Sigma Green Belt, a certification in empirical, statistical methods to improve organizational infrastructures. While working at Deloitte, Philippe and his colleague, Toni, realized that if they could eliminate banks and brokers from the foreign exchange process they could drive down costs and administration time. They officially launched Kantox in 2011 and raised capital from friends and family. This investment enabled them to build a beta version and make the changes necessary to meet EU regulations. 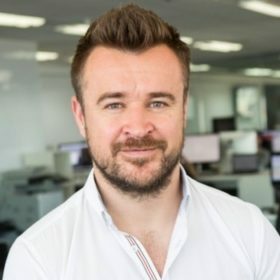 Kantox was born as a P2P foreign exchange platform, offering SMEs and Mid-Cap companies a comprehensive solution for foreign exchange needs, based on transparency and competitive pricing. With its platform, two companies can trade with each other directly. As a first mover in the P2P foreign exchange market, 90% of Kantox’s clients return to the platform. Today, Kantox has evolved into a platform that offers currency and risk management solutions.